It happens every year. That one must-have toy — for kids and adults — sells out even before the Halloween candy hangover wears off. 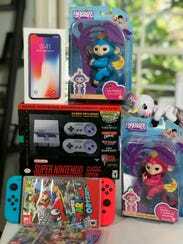 This year, it’s the iPhone X, SNES Classic, and those quirky little robot Fingerlings toys. Last time I checked, these must-haves — and a handful of others — were already out of stock across the board, with waits for new arrivals a month or more away. How can you make sure you have the most coveted gadget in hand by the holidays? Cozy up and read on for a few insider tricks to score the hottest gadgets — eveN if they’re sold out. You can pretty much always find what you want on eBay, even when pre-orders plug up. This is especially true if price is no object, or you would rather pay a premium than wait in line or drive around for hours trying to find that one holy grail gadget in stock somewhere. 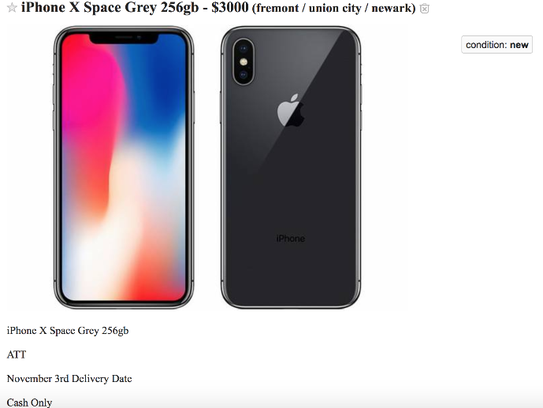 An eBay spokesperson told me that the auction site sold 62 iPhone X’s per hour on Nov. 3, which is the same day it arrived in Apple stores. The average markup in those early hours? About $300. I waited until the next day to buy an unlocked 256GB iPhone X on eBay, and paid just under $200 over the sticker price for the convenience of shopping in my jammies and having it arrive on my doorstep just two days later. Yes, that’s a big mark-up, but that was after I shopped around a ton and saw the same color and model phone going for more than $3,000 on sites like Craigslist. (And, it’s for my job … after all.) The other plus here is that eBay has built-in buyer protection with its Money Back Guarantee so that you can request a refund if anything goes awry, like the iPhone X shows up broken or — Steve Jobs forbid — it’s a fake. New iPhones often mean better knock-off’s, and it’s tough to tell the difference, though the site has help for that too. Also worth trying out, eBay’s new ShopBot that recently launched in beta. Click the “Chat to Save” button, and it heads straight to your Facebook Messenger, where you can text with it like a person, and it finds what you’re looking for in a matter of seconds. 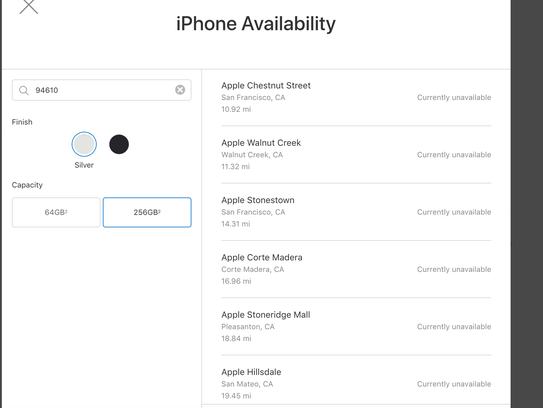 If you’ve ever really tried to figure out if some must-have item is in stock in a store near you, you likely know it’s often an exercise in frustration: You go to a retailer’s website and using the “available in-store” function see that something’s in stock — only to drive to the store and find out, it’s actually not. Using a stores’ own website for item availability? Rookie move. Instead, use a stock tracking site like ZooLert. It keeps tabs on all the gadgets playing hard to get, by showing you what’s in-stock where, and lets you choose by store, product, status, and price. It also has an alarm that lets you know via your computer, text, or email when that one thing you really want is back in stock. Other similar sites include NowInStock, StockInformer, and BrickSeek. But wait! Don’t grab your keys and dash out the door just yet. Call the store and have them set it aside for you, or jump online and lock-it-in with a pre-order. The other major way I — and many of my way cooler friends — get our hands on the good stuff first, is by having relationships with some of the specialty stores in our area. This is how I was able to get an SNES Classic and the Nintendo Switch when no one else could earlier this year. For me, it’s the GameStop store about four miles away from my house. I use the GameStop site, free app (iOS, Android), and a portal they call Web in Store, to pre-order must-haves and either pick them up in person or have them shipped straight to me. This is pretty genius because it gives you access to every single thing GameStop has in their warehouse and in all 3,800 stores, including pre-owned and retro gear. It also gives you the chance to trade-in some of your older games and gear to help pay for the new ones. While you’re snagging the hottest gifts, be sure to spend wisely too. Consider using a credit card that has your back and can get you cash back too, like the PayPal Cashback MasterCard. 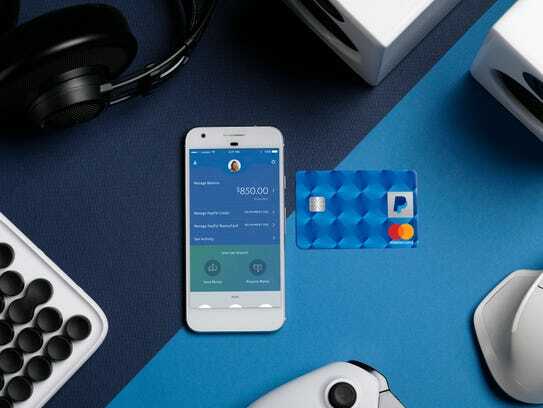 According to financial site NerdWallet, this particular card pays a flat 2% cash-back rate on all purchases, doesn’t limit the amount you can earn, and lets you redeem cash directly to your PayPal account. The other thing I like about it is that it has extra price and purchase protection. If something you buy now goes on sale within 60 days, you can get reimbursed the difference. Also, the card helps you get your money back if something you order online doesn’t show up, or doesn’t match the seller’s description.